Commodity can be defined as any kind of movable property other than actionable claims, money and securities. Commodity has been a great influence in the recent world. Trading commodity is one of the simplest markets to make huge profits. We at ARHAM Group offer various kinds of commodities trading to our prospective customers. 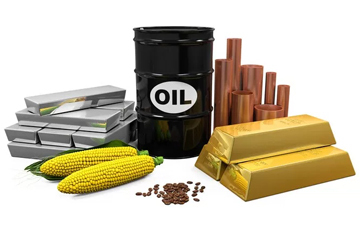 At ARHAM we offer outstanding options for commodity trading where the client would be given sufficient support to start up with commodity trading. Commodities actually offer immense potential to become a separate asset class for market-savvy investors, arbitrageurs and speculators. They are also easy to understand as far as fundamentals of demand and supply are concerned. Historically, pricing in commodities futures has been less volatile compared with equity and bonds, thus providing an efficient portfolio diversification option.